After only 5 hours sleep, I woke to the excitement that both Jonathan Ross and Jeri Ryan, yes THE Jeri Ryan(!!) had replied to my tweets! Carole and I apprehensively made our way over to make-up (that naughty Trekkie Girl Teressa had had too much Tranya at the Risa party! 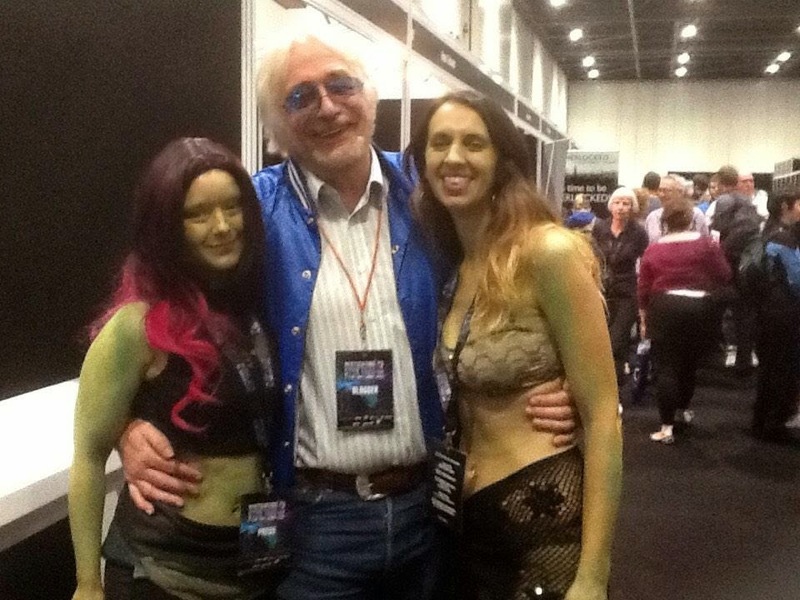 ), where we were transformed in to Orion Slave Girls for the day! Thank you to the amazing Karen Ward and her team for ‘greening us up’ – great job ladies! 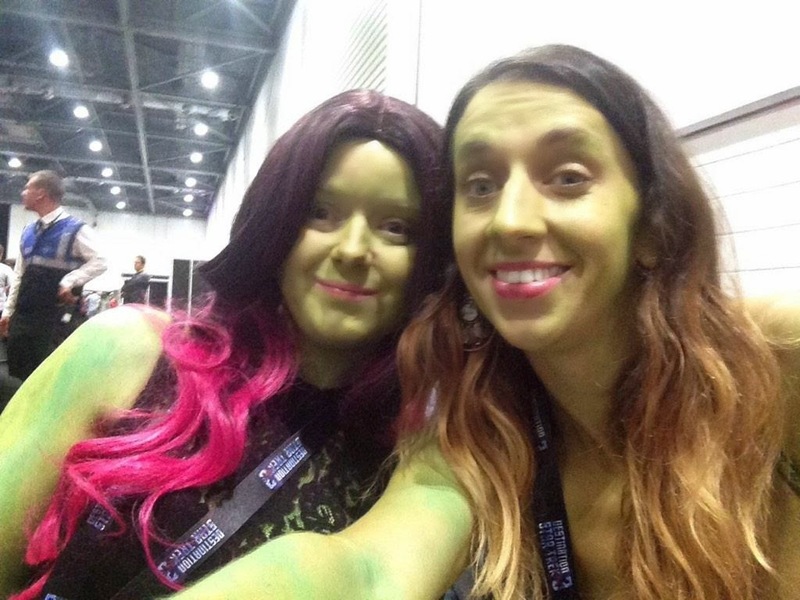 Being painted green from head-to-toe and effectively walking around in my bikini all day had had me fraught with anxiety and self-consciousness in the lead up to DST3! But it was actually one of the most liberating experiences. 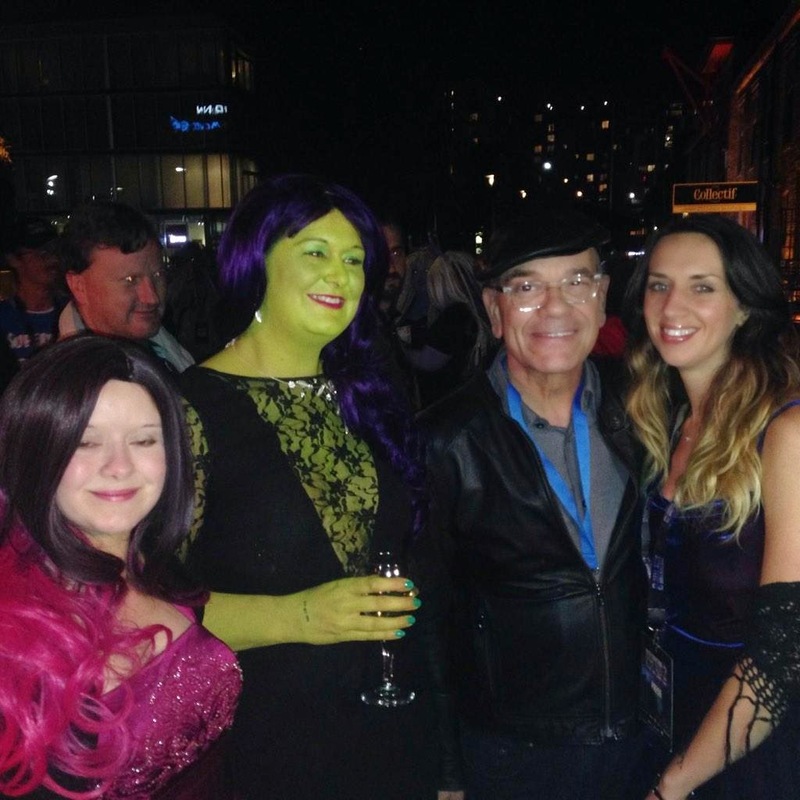 The love we felt from fans attending the convention was exhilarating – we couldn’t walk four or five steps without someone requesting to have their photo taken with us! Apologies again to all the wives that had to be the photographer whilst their husbands posed between two scantily clad green girls!! We even had parents who wanted us to pose with their children! 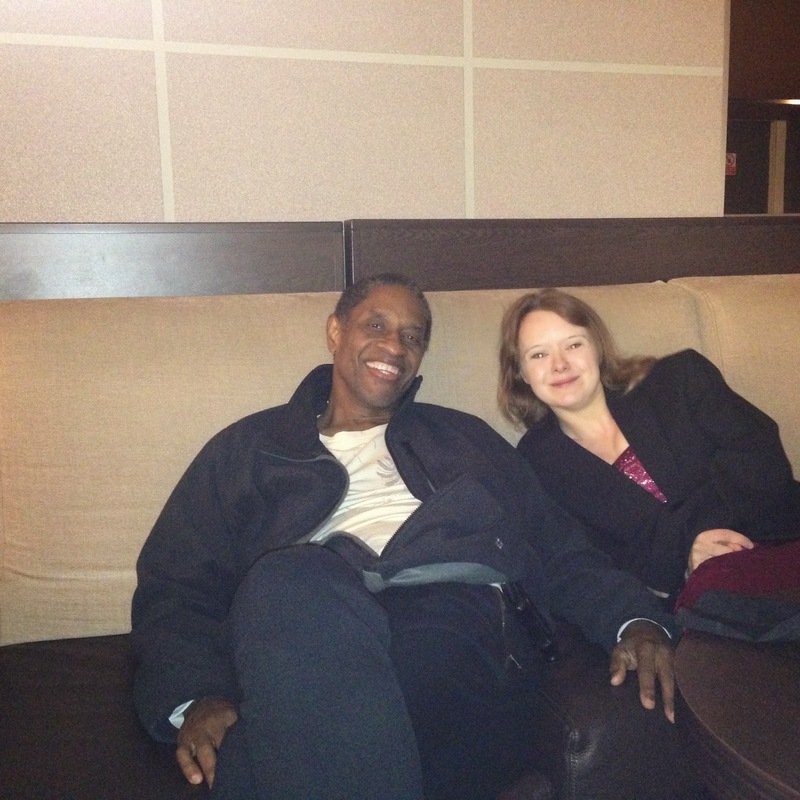 (If anybody knows these people – we’d love to see the pictures!) It was absolutely fantastic, and I’m sure my weekend would have been (still awesome, but) very different had we not agreed to do it?! We were incredibly privileged to be approached by Paul Olsen from 1701 rebuild. Please, please, please check out the project these guys are working on – it’s amazing!! By the end of the reunion I was shaking, whether this was from the cold (I HAD been walking around in a bikini all day!? ), low blood sugar (I think we’d only had a muffin all day!) or the sheer adrenaline of what I had been a part of, I don’t know. But one thing was for sure – the green was coming off! I needed a hot shower and some room service!! Washed, fed, and ready to get our Trekkie Girl groove on again, we headed back to the Fox’s bar for the “Our Man Bashir” party, where we had our picture taken with the lovely Rob Picardo, were entertained by the amazing James Darren and Tim Russ, met the FABULOUS Misty and schmoozed the night away with Jordan Hoffman, Larry Nemecek, Vaughn, Casey and Steve of the Enterprise Blues Band, James Darren, Max Grodenchik and legendary ST make-up artist, John Paladin. Yes, I did just name-drop all those people! It’s a big deal to me!! 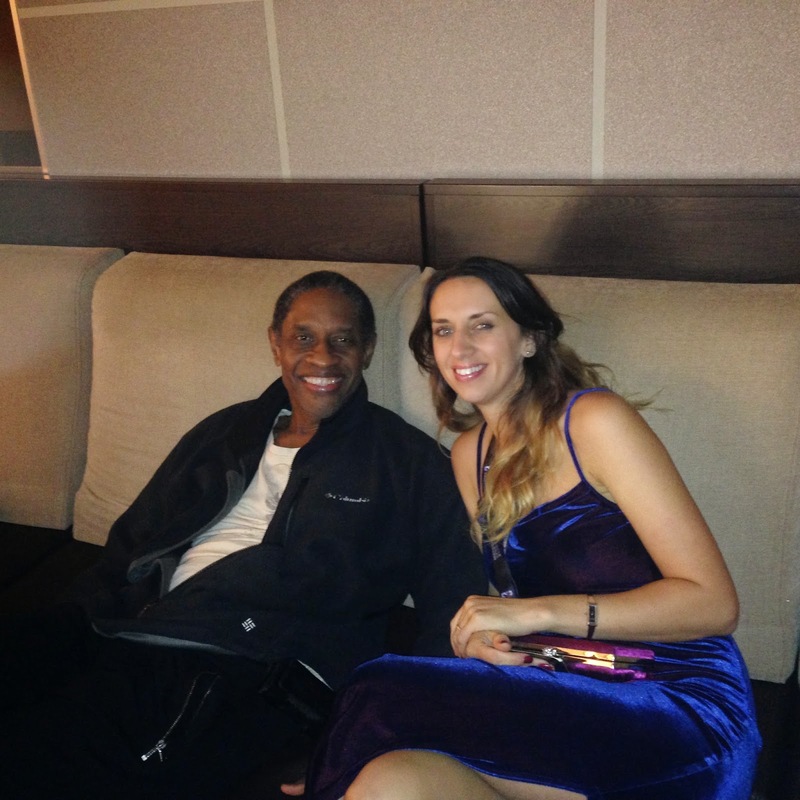 When Fox’s eventually kicked us out in the wee hours, we head back to the Novatel where we found Tim Russ casually strewn across one of the sofas, really feeling the jet-lag, poor thing! He was trying to work out when he was “allowed” to go to sleep, so as not to make the jet-lag worse, bless him?! 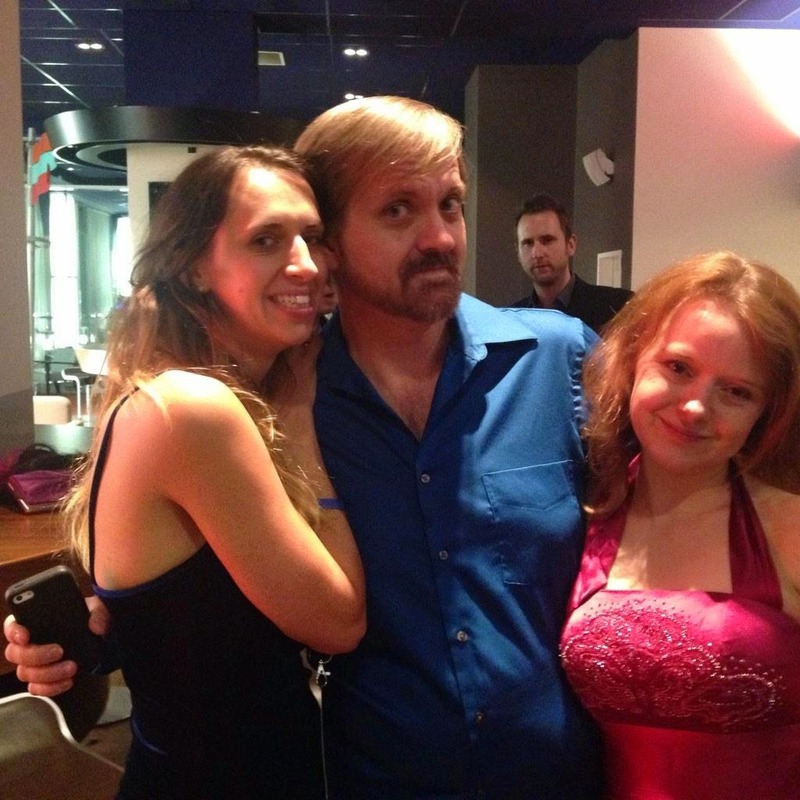 Tomorrow… Day Three of DST3: quite possibly the best day of my life? !